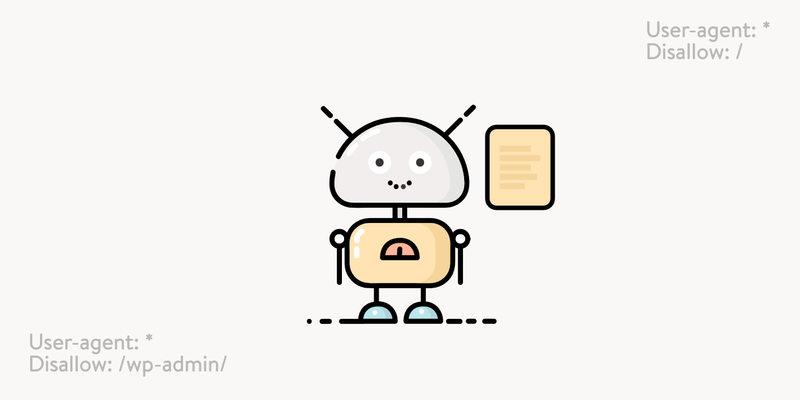 What is a WordPress Robots.txt? How Does Robots.txt Help My Website? 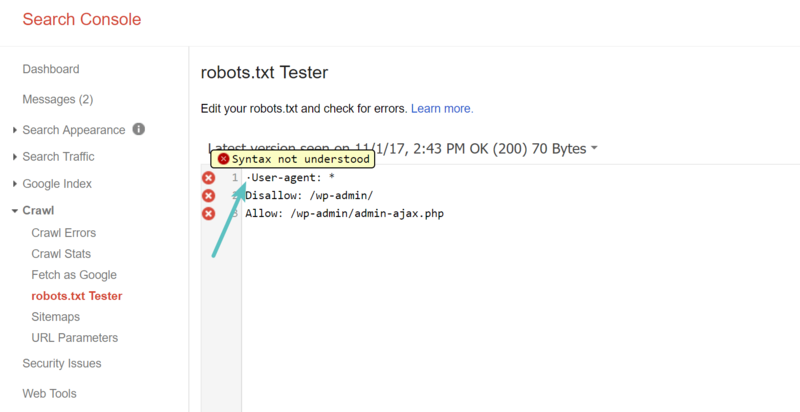 How Can I Add Robots.txt To WordPress? 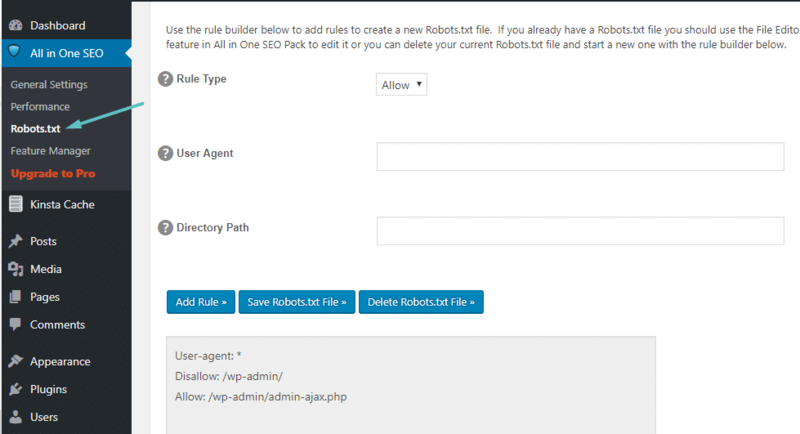 What Sorts Of Rules Can I Put In Robots.txt? How Do Big WordPress Websites Implement Robots.txt? There’s a lot to cover so let’s get started! Before we can talk about the WordPress robots.txt, it’s important to define what a “robot” is in this case. Robots are any type of “bot” that visits websites on the Internet. The most common example is search engine crawlers. These bots “crawl” around the web to help search engines like Google index and rank the billions of pages on the Internet. So, bots are, in general, a good thing for the Internet…or at least a necessary thing. But that doesn’t necessarily mean that you, or other webmasters, want bots running around unfettered. The desire to control how web robots interact with websites led to the creation of the robots exclusion standard in the mid-1990s. Robots.txt is the practical implementation of that standard – it allows you to control how participating bots interact with your site. You can block bots entirely, restrict their access to certain areas of your site, and more. That “participating” part is important, though. Robots.txt cannot force a bot to follow its directives. And malicious bots can and will ignore the robots.txt file. Additionally, even reputable organizations ignore some commands that you can put in Robots.txt. For example, Google will ignore any rules that you add to your robots.txt about how frequently its crawlers visit. If you are having a lot of issues with bots, a security solution such as Cloudflare or Sucuri can come in handy. Why Should You Care About Your Robots.txt File? 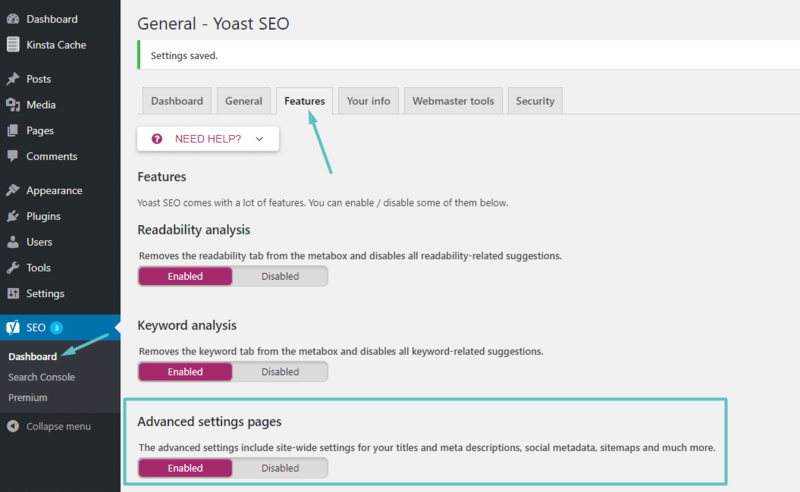 Optimizing search engines’ crawl resources by telling them not to waste time on pages you don’t want to be indexed. This helps ensure that search engines focus on crawling the pages that you care about the most. Optimizing your research usage by blocking bots that are wasting your server resources. Robots.txt is not a foolproof way to control what pages search engines index. 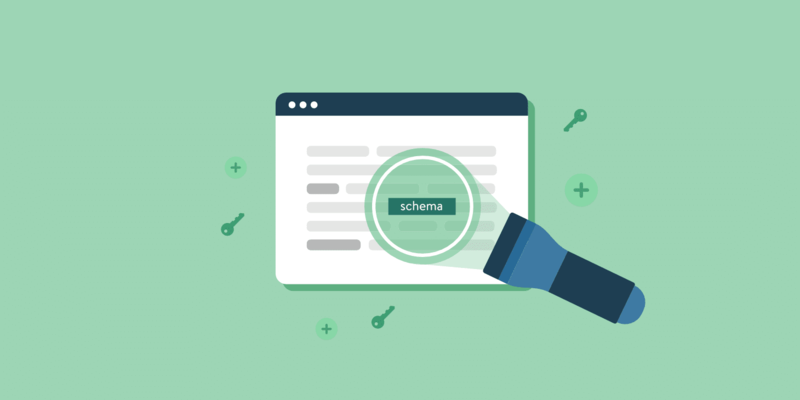 If your primary goal is to stop certain pages from being included in search engine results, the proper approach is to use a meta noindex tag or another similarly direct method. This is because your Robots.txt is not directly telling search engines not to index content – it’s just telling them not to crawl it. While Google won’t crawl the marked areas from inside your site, Google itself states that if an external site links to a page that you exclude with your Robots.txt file, Google still might index that page. One thing maybe to keep in mind here is that if these pages are blocked by robots.txt, then it could theoretically happen that someone randomly links to one of these pages. And if they do that then it could happen that we index this URL without any content because its blocked by robots.txt. So we wouldn’t know that you don’t want to have these pages actually indexed. Whereas if they’re not blocked by robots.txt you can put a noindex meta tag on those pages. And if anyone happens to link to them, and we happen to crawl that link and think maybe there’s something useful here then we would know that these pages don’t need to be indexed and we can just skip them from indexing completely. So, in that regard, if you have anything on these pages that you don’t want to have indexed then don’t disallow them, use noindex instead. As you read on, we’ll dig more into what types of directives to put in your WordPress robots.txt file. Then, connect to your site via SFTP and upload that file to the root folder of your site. You can make further modifications to your robots.txt file by editing it via SFTP or uploading new versions of the file. User-agent – this lets you target specific bots. User agents are what bots use to identify themselves. With them, you could, for example, create a rule that applies to Bing, but not to Google. Disallow – this lets you tell robots not to access certain areas of your site. There’s also an Allow command that you’ll use in niche situations. By default, everything on your site is marked with Allow, so it’s not necessary to use the Allow command in 99% of situations. But it does come in handy where you want to Disallow access to a folder and its child folders but Allow access to one specific child folder. Let’s go through some specific use cases to show you how this all comes together. What’s going on in that code? The *asterisk next to User-agent means “all user agents”. The asterisk is a wildcard, meaning it applies to every single user agent. The /slash next to Disallow says you want to disallow access to all pages that contain “yourdomain.com/” (which is every single page on your site). Essentially, the above code says to only apply the Disallow rule to bots with the User-agent “Bingbot”. Now, you’re unlikely to want to block access to Bing – but this scenario does come in handy if there’s a specific bot that you don’t want to access your site. This site has a good listing of most service’s known User-agent names. 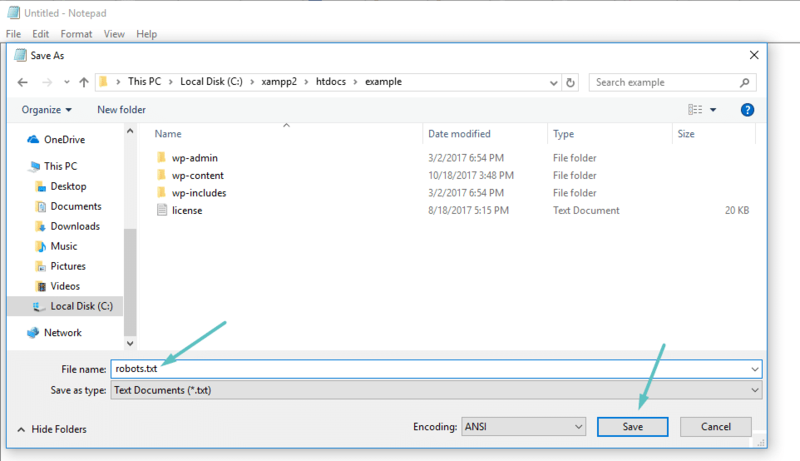 This snippet blocks access to the entire /wp-admin/ folder except for the /wp-admin/admin-ajax.php file. This can be an effective way to also stop soft 404 errors if you are getting them. In this example, all bots will be blocked from accessing /wp-admin/, but Bingbot will be blocked from accessing your entire site. 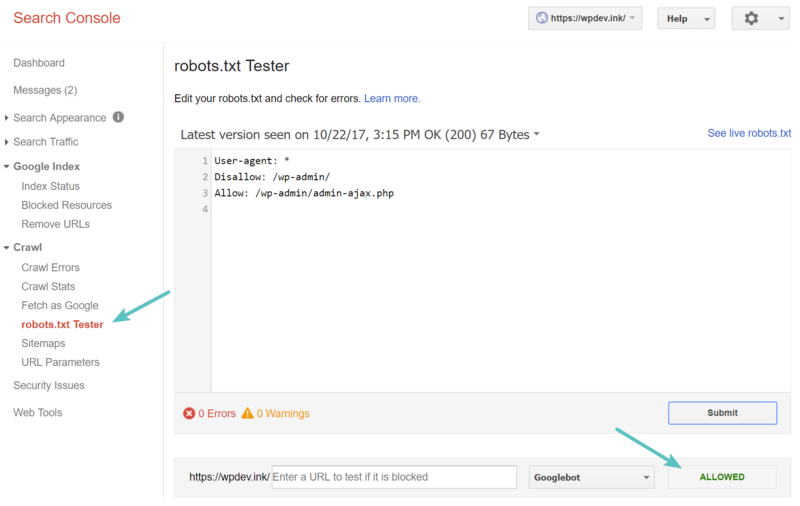 You can test your WordPress robots.txt file in Google Search Console to ensure it’s setup correctly. Simply click into your site, and under “Crawl” click on “robots.txt Tester.” You can then submit any URL, including your homepage. You should see a green Allowed if everything is crawlable. You could also test URLs you have blocked to ensure they are in fact blocked, and or Disallowed. BOM stands for byte order mark and is basically an invisible character that is sometimes added to files by old text editors and the like. If this happens to your robots.txt file, Google might not read it correctly. This is why it is important to check your file for errors. For example, as seen below, our file had an invisible character and Google complains about the syntax not being understood. This essentially invalidates the first line of our robots.txt file altogether, which is not good! Glenn Gabe has an excellent article on how a UTF-8 Bom could kill your SEO. It’s also important not to block the Googlebot from the United States, even if you are targeting a local region outside of the United States. They sometimes do local crawling, but the Googlebot is mostly US-based. To actually provide some context for the points listed above, here is how some of the most popular WordPress sites are using their robots.txt files. In case you’re interested, IRLbot is a crawler from a Texas A&M University research project. That’s odd! The Obama Foundation hasn’t made any special additions, opting exclusively to restrict access to /wp-admin/. Angry Birds has the same default setup as The Obama Foundation. Nothing special is added. 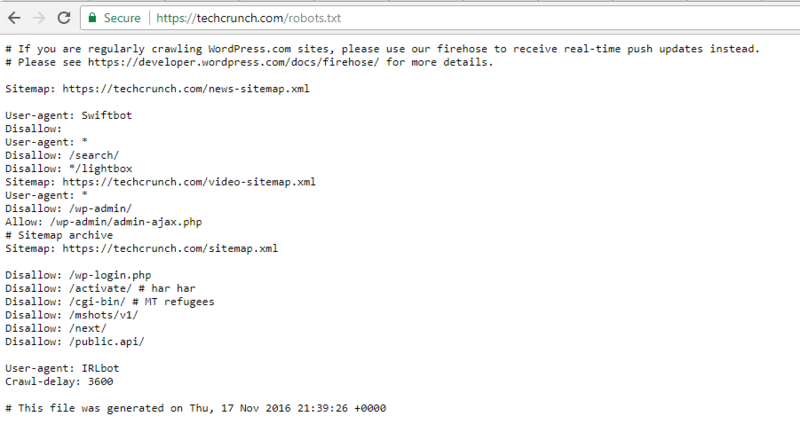 Finally, Drift opts to define its sitemaps in the Robots.txt file, but otherwise, leave the same default restrictions as The Obama Foundation and Angry Birds. As we wrap up our robots.txt guide, we want to remind you one more time that using a Disallow command in your robots.txt file is not the same as using a noindex tag. Robots.txt blocks crawling, but not necessarily indexing. You can use it to add specific rules to shape how search engines and other bots interact with your site, but it will not explicitly control whether your content is indexed or not. For most casual WordPress users, there’s not an urgent need to modify the default virtual robots.txt file. But if you’re having issues with a specific bot, or want to change how search engines interact with a certain plugin or theme that you’re using, you might want to add your own rules. 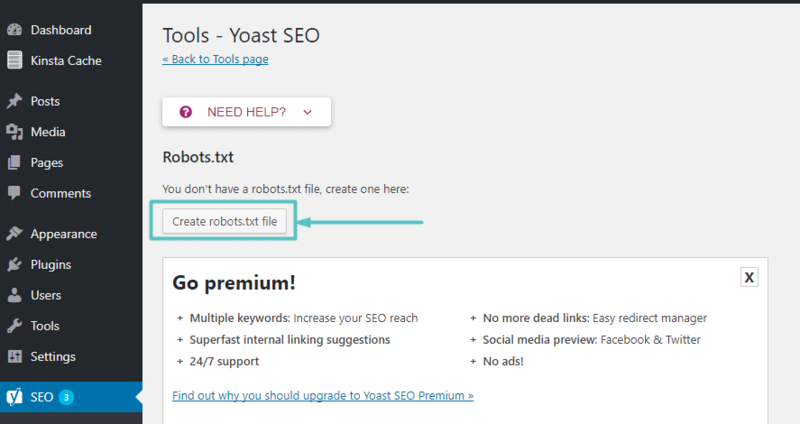 We hope you enjoyed this guide and be sure to leave a comment if you have any further questions about using your WordPress robots.txt file. Very interesting guide, thanks for share! Brian once again great topic & very well written! Can you tell me your opinion on calendars I have had this in my robots.txt for any site that has calendars and it has been marvelous as calendars tend to create ping-pong’s for GoogleBot increasing crawl budget. 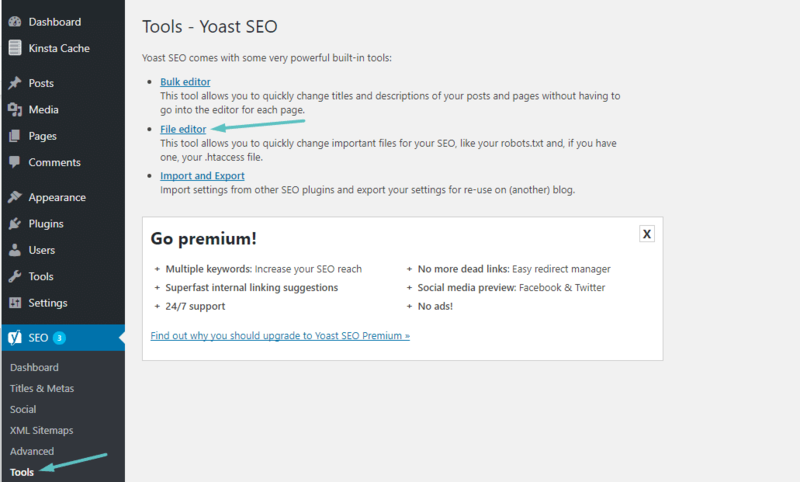 One thing I’ve never understood is why Yoast a very wise person for some reason recommends /*? * ending any robots.txt file in a “*” is normally not a good idea any idea as to why they’re promoting that? Interesting, I guess I haven’t really dealt with many sites with calendars before :) Although I’ll take your word for it, as I’m not surprised. There are a ton of odd things that can increase crawl budgets. As per the Yoast recommendation, isn’t his basic recommendation this? Hey Brian, so sorry it took me this long to reply to you. Pet peeve: People often use trailing wildcards in robots.txt files. This is harmless, but it’s also useless; I consider it bad form. 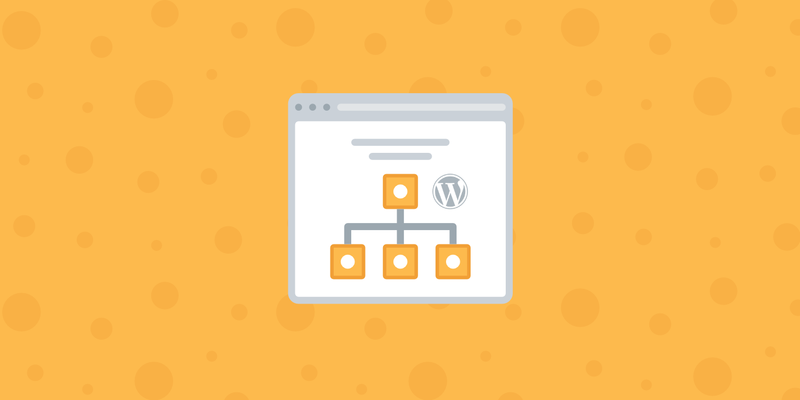 Please also provide same for sitemap.xml file generation for wordpress. We have an article coming up on sitemaps :) Thanks for the suggestion. Whats going to happen if I leave Allow directive as blank? Hey Karan! The allow directive is typically used when you want to specify a certain directory or file that should be allowed. So we don’t recommend leaving this blank. You can still add your website to Google Search Console. This is a great way to test your robots.txt file and website to ensure everything is disallowed correctly. When I search for my website on google, I get this response: “No information is available for this page. Learn why”. I don’t know why it says that but according to your article, I should change the word “Disallow” to “Allow” in order to ensure my webpage shows up in google searches. Is that correct? Thanks for your help! I love how thorough this article is! The screenshots make it easy to understand how the robots.txt can be used. Previously, I’ve been unable to nail down exactly what mine should look like, but now I’ve got a good grasp on it. Thanks for taking the time to write this tutorial! My website on goggle says no information is available for this page, learn why. Yet my website on goggle still says no information is available for this page learn why but some content on my website is is available on google searched engine but the the actually website. Can you please let me know why? Hey Andrew, since you just created your website it looks like it was not indexed and therefore it may not be visible on the internet. when I created my website it took google 2 months to index my pages. Your both instances of the txt file seem to be correct. This is a really helpful article to understand the concept of Robots.txt. Wonderfully written article really helped me with my queries. Thank you for sharing it us.